This is a sponsored post written by me on behalf of Audible. All opinions are 100% mine. It’s so easy to abandon your diet and fitness goals during the holidays. 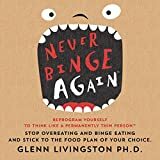 And it’s even easier to justify that lack of attention to your health – New Years is coming and you can start fresh with grand resolutions to change your life. So a bit of indulgence during December is no big deal, right? Uh…so how far has that gotten you? The older I get, the more I realize that this attitude does far more harm than good, and leaves you in an unhealthy cycle of recovery where you are always playing catch-up with your health. 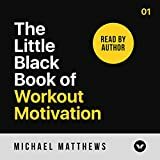 But I have a secret weapon during the busy holiday season that keeps me focused on my health and fitness – audiobooks! 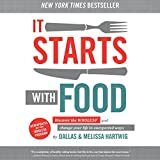 Audible has an unbeatable selection of health, mind and body audiobooks that you can listen to anytime. anywhere on any device. You can listen at the gym, in the car on your way to work or while heading to the mall to do some shopping. You can listen while you are getting ready in the morning, or while you walk the dog. I like to listen through my Alexa device while I am making lunches for my kids in the morning. With your Audible membership you can choose 3 titles every month. 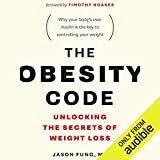 Audible has the largest selection of audiobooks on the planet and you get 1 audiobook and 2 Audible originals every month as part of your membership. You also get rollover credits if you don’t use your credits up every month, and they have easy audiobook exchanges. The Audible app lets you carry your books around with you in your pocket and listen to them whenever it is convenient for you. This makes it so easy to stay focused and motivated during the holiday season. And the more effort you can put into your health on the crazy days preparing for holiday events, the more you can enjoy a holiday treat or two without spiraling into unhealthy habits. 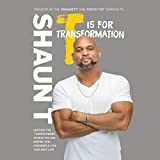 These 10 books span the entire genre of health, mind and body offering inspiration, nutrition information and fitness motivation for physical and emotional health. 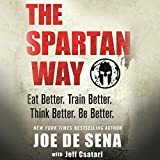 I chose them because others have recommended these books, they are highly rated, and each one is on my “to-listen” list this holiday season. 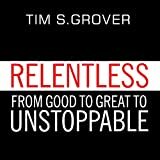 Holiday indulgences are no match for these 10 best motivational books from Audible! 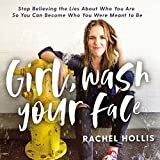 I just started listening to Girl, Wash Your Face: Stop Believing the Lies About Who You Are So You Can Become Who You Were Meant to Be by Rachel Hollis. I’m excited to expose the lies in my life and become inspired to live more joyfully. It’s a healthy attitude that will motivate me in other areas of my life as well. I will be working my way through the whole list! 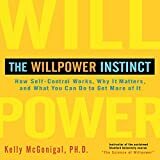 In addition to an Audible membership for yourself, it also makes a super thoughtful gift for just about anyone on your list – health buffs, mystery lovers, science and romance fans and more! Audible even has books for children and teens which is a great way to get kids listening to books that will help them explore their imaginations. 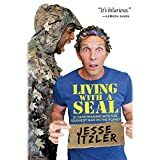 You can try Audible free for 30 days or give someone the gift of Audible. Or both! Because during the holiday season, you can get Audible for only $6.95/month for 3 months!